DKIM is a technical standard for email authentication that helps ensure email wasn’t altered in transit. 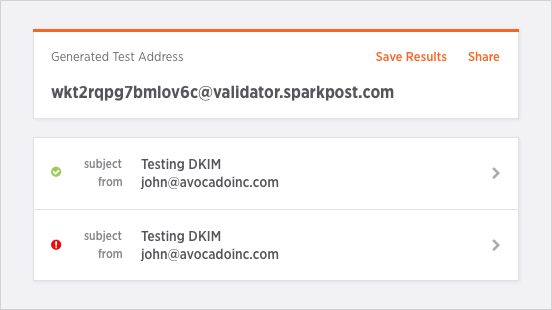 SparkPost’s DKIM Validator is the easiest way to verify your messages have working DKIM signatures. The Sender Policy Framework (SPF) standard lets domain owners define what mail servers and domains are permitted to send email on their behalf. 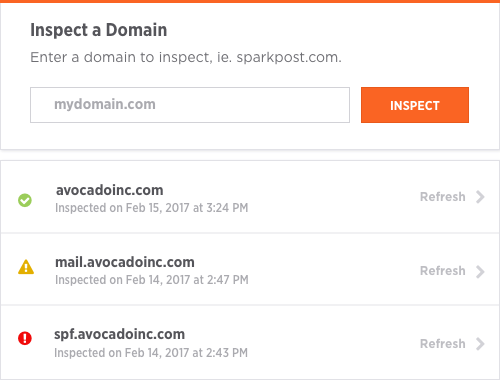 Easily check who’s authorized to send email for your domain with this SPF Inspector from SparkPost. Sender Policy Framework (SPF) is an important part of protecting your email sending and brand reputation. 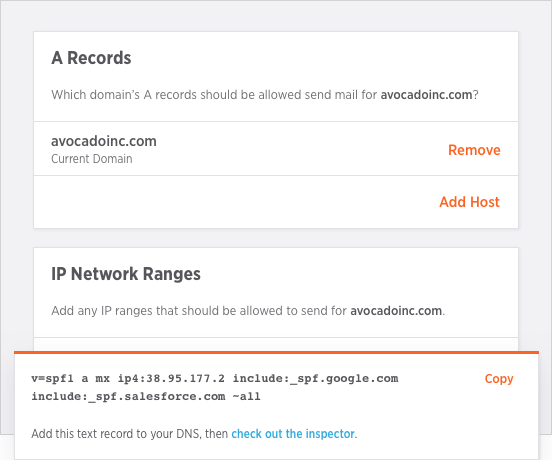 SparkPost’s SPF Builder makes it easy to create a working SPF record for your domain. Along with our email tools, we’ve created a wealth of resources to help developers hit the inbox. Start with these, and find more in our Resources section. Email has a number of messy details and idiosyncrasies that turn out to be gotchas for developers. We highlight 10 things you might not realize about email. DMARC is a technical standard that allows an organization to define its email authentication practices and how to enforce them. Learn how it works here. This infographic illustrates the basic concepts behind the DKIM email authentication standard in an easy-to-understand way.